We have many attractive offers in our hotel programme for an unforgettable group experience. Depending on the length of your stay, we can offer fully customised offers for your stay at attractive group rates. Group offers always include: Lavish and varied breakfast buffet, 3-course evening meal - we will gladly consider your dietary requests - including champagne reception. 1 x champagne reception. 2 x nights accommodation in a comfort double room. 2 x breakfast buffet. 2 x 3-course dinner with regional specialities. 1 x guided walking tour of the Wiiwegli. 1 x lunch pack. 1 x visit to Erentrudis Chapel with candle-lit wine tasting after dark. 1 x champagne reception. 2 x nights accommodation in a double room. 2 x breakfast buffet. 1 x Alemannic buffet. 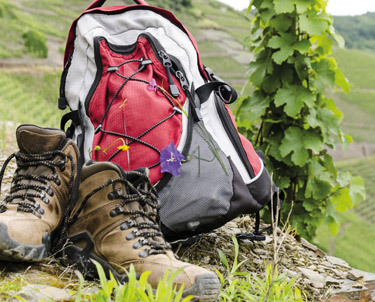 1 x guided city tour with the ‘curious monk’ through Breisach am Rhein followed by ‘legendary wine tasting’. 1 x traditional Baden Wähe (local sweet flan dessert) evening with Glühwein reception. 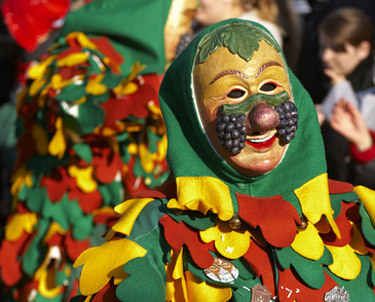 Opportunities to visit the carnival parades in Burkeim, Kenzingen, Obwerwinden or Elzach. At your leisure. Booking options: Saturdays to Mondays. Dates dependant on particular carnival season. 1 x champagne reception. 2 x nights accommodation in a double room. 2 x breakfast buffet, 1 x 3-course dinner. 1 x Black Forest buffet. 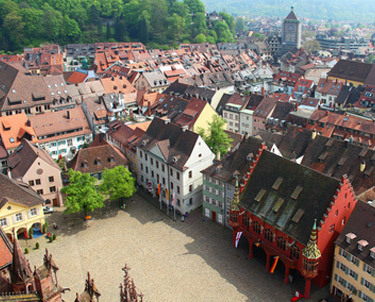 1 x visit to Freiburg with historical tour including witches, torture, stakes - the witch-hunt. 1 x visit to Colmar with city railway journey. 1 x champagne reception. 3 x nights accommodation in a double room. 3 x breakfast buffet. 2 x 3-course dinner with regional specialities. 1 x Baden buffet with Stuben music. 1 x cellar visit with wine tasting. 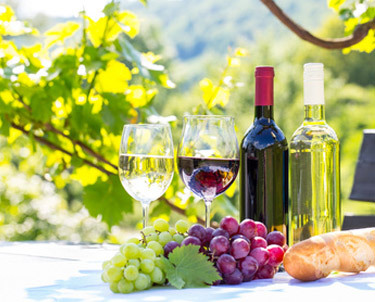 1 x wagon tour of the vineyards with wine tasting. 1 x champagne reception. 2 x nights accommodation in a double room. 2 x breakfast buffet. 1 x Baden Vesper buffet with Stubern music. 1 x 4-course gala menu. 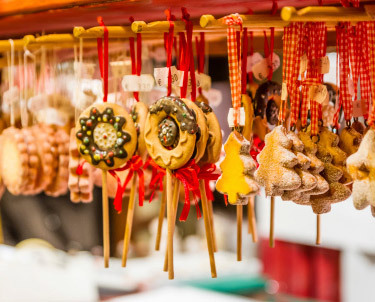 Visits to Colmar, Kaiserberg, Freiburg Christmas markets at your leisure. Booking options: November to December (excluding 23.12. - 2.01). 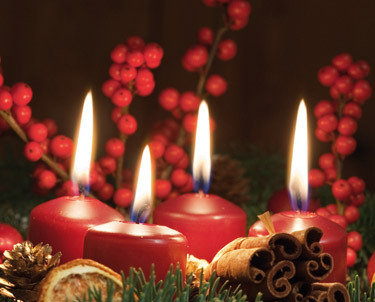 Booking options: 23.12. to 26.12.